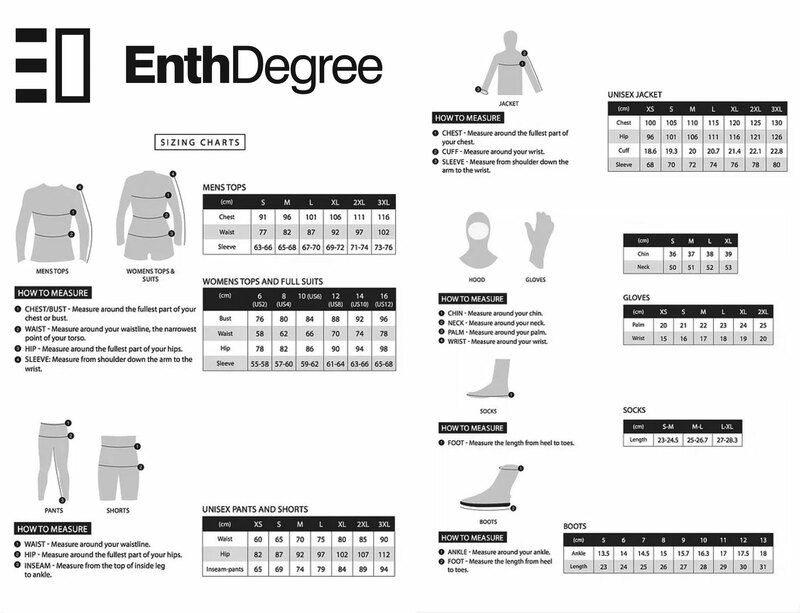 Enth Degree Womens Cirrus Long Sleeve Thermal Springsuit is a high-tech, multi-application thermal suit designed to give you unbridled movement whilst retaining core body temperature. The Enth Degree Womens Cirrus Long Sleeve Thermal Springsuit will keep your warm above and below the water thanks to the hydrophobic nature of Fernotherm3's outer jersey. The strategic use of 385gsm Fernotherm3 in the core areas and 240gsm Activeflex in the high-stretch areas results in a suit that keeps your core warm and your arms free to move and paddle. We recommend the Enth Degree Womens Cirrus Long Sleeve Thermal Springsuit for all applications that require core body-temp warmth but don't need a neoprene wetsuit - because, unlike neoprene, this material can breath. Suitable as an outer or inner layer. The Enth Degree Womens Cirrus Long Sleeve Thermal Springsuit is suitable for surfing, scuba diving, canoeing, kayaking, canyoning, adventure racing, wind surfing, kite boarding, obstacle course racing, canyoning, hiking, freediving, snorkelling. To get the most out of your Enth Degree thermal we recommend maintaining it with Wetsuit Wash.
Activflex Motion Panels - learn more about Activflex.